This entry was posted on	July 16, 2007 at 10:06 pm	and is filed under Uncategorized. aileen was my classmate in a couple of tourism classes, if im not mistaken. so kilala ka pala ni aileen! hehe small world talaga. si evan commercial model kaya siguro familiar sayo . Which one is the commercial model? 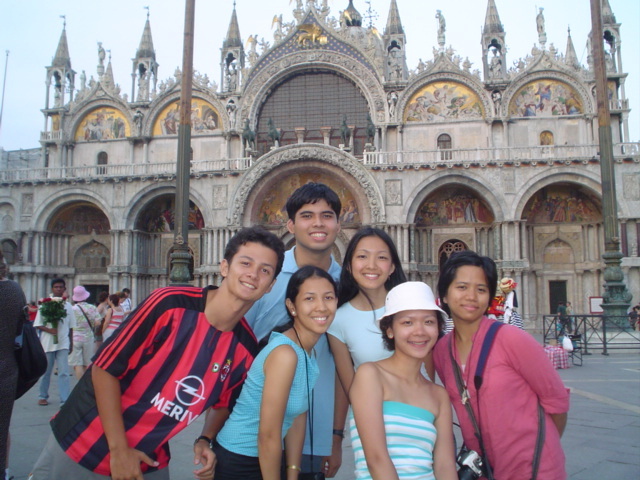 Why did we give Nins again a gazillion despedida (spanning 2 months) for this particular trip to Italy? Is this Helen the one who taught the world the “Helen Smile”? Say “A-a-a-a-a-“? Oy… the mysteries of the universe. Lucky fucker, visiting Italy as if it were home! I might go back next year. My (former-ex-sister-in-law, ahem) is getting married. I might go back next year. My (former-“sister-in-law”, ahem) is getting married.